It is replaced by the Fargo DTC4500e. Dual-Sided Base Model USB and Ethernet, 2 Year Warranty. This is a Zebra printer repair part. 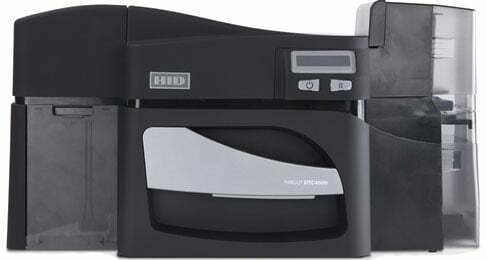 Card Printer-Encoder (Dual-Sided Printer/Single-Sided LAM/MAG Encoder/PROX Encoder). This is a Zebra printer repair part. HDP5000 1.0 Overlam w/chip cutout 250 ct. Overlam has thin "border" around the edges.